P.S. The lunch was great !!! I was very pleased that the instructors stressed that deadly force is almost always the last alternative in a self defense situation, and that life is very precious and before you pull the trigger know exactly what you are doing. I found the intructors to be some what humble and they shared with me that if the moment ever happens that I draw my weapon on another human being I will be comfortable in the decisions I make, may that moment never happen. I also found it comforting that they were spiritual people and that God had chosen them to teach me. Thy will, not mine be done! I had little to no experience handling a handgun and was scared and intimidated by them. After taking the conceal and carry class I feel much more comfortable with handguns and looking forward to buying my own and going to practice with it. Thanks to the great team at Home Front Freedom for a great experience. Even as a newbie, I felt like I was able to grasp all the concepts! What a great course. Erik and Lexen know how to engage when teaching to make a long day exciting! Even as a newbie, I felt like I was able to grasp all the concepts! Good food, great instructors, and a lot of great tips and knowledge. Erik and Lexen were excellent instructors, the incentives and needs were clearly and concisely presented. This course is a must for responsible and safe owning, storing and operation of handguns and ammo. The variety of holsters and other accessories was good. Range time was very safe and a good time. I Heartily recommend this course and the instructors. I will be taking some additional classes with them in the future. The lunch and beverages were very good also and readily available. Very pleasant way to spend a Saturday. I truly felt rewarded after completing NC CCH course presented by Home Front Freedom. Erik and Lexen were very enthusiastic for us, as much as anything else envolved in this course. I was impressed with the emphasis on having the right attitude to advocate or use concealed carry. The very professional and high energy presentation carried throughout the 8 hours of the classroom session. Through their instruction, I achieved excellent results at the range and gained new friends in the process. Just completed the Home Front Freedom Concealed Handgun Carry course. Very well put together, and presented. Presenters clearly have the enthusiasm and knowledge to both properly train but also keep the attention of the attendees. I actually asked, during a break, if HFF was a 'franchise' or just 'you guys' because the entire process was so professional. The answer was "just us". Would recommend the course to anyone desiring to acquire a CHP in NC. I had a wonderful time with my instructors. They was nice and I learned alot of stuff I didnt know. I would recommend people to they class that want to be successful and get knowledge about handguns and safety. This course was far superior in all aspects! Outstanding course!! Enthusiastic instructors made this a wonderful experience!! I had taken another states CCH course prior to moving here. This course was far superior in all aspects!! I HIGHLY recommend! Our NC Concealed Carry Course was truly an awesome experience with Erik & Lexen Heck and David Grant; the best instructors around. Their love of the field shines throughout every minute of class time while still keeping each of us as students truly engaged. I am grateful for the knowledge, skills, and passion that they all have imparted to continue my path along this journey as a responsibly armed citizen. Thank you and I absolutely look forward to further training with Home Front Freedom. Wow! These guys do an AWESOME job with this course. I have received paramedic and USCG Captain’s license training as well as multiple college degrees. I really expected another course of “hoop jumping” to get my CCH permit. I was entirely wrong. These guys were hyper-professional, super enthusiastic and really had a vested interest in seeing all of us learn AND succeed. OF ALL THE COURSES IVE TAKEN IN MY LIFE, THIS WAS REALLY ONE OF THE BEST. A+++ to the staff and every component of the course! Just finished the class today, and it was great. The instructors were knowledgeable and able to answer all questions with confidence and down to earth examples. I am recommending this course to all of my friends. Even if they have no intention on ever becoming a CCH permit holder, any gun owner can benefit from this training. Finished my concealed carry class today and I have to say, hands down the BEST instructors around. They make a long class seem like no time at all. We all had a great time and learned some very important details we could all use. Erik and Lexen have put together the best series of classes around. If you are nervous, not sure, or whatever may be holding you back from taking this course, forget it! They will make sure you leave there with the knowledge you will need to comfortably, safely and legaly carry a concealed handgun. I had the pleasure of taking my NRA Certified Pistol Instructors course with Erik and Lexen this past weekend. When looking for a class to take, it was either going to Raleigh, or Newport. Since I lived in Wilmington, I decided to head up to Newport. I am SO glad that I did. Erik And Lexen make the environment for their classes so incredibly welcoming and relaxed. They feel like family members you didn't know you had. They are so easy to talk to, ask questions to, and receive instruction from. They are extremely skillful, knowledgeable, and invested in their classes they teach. You can tell they really care about educating people. I will be taking more classes with them in the future, and would recommend them to anyone, beginner to experienced, for any training they may be interested in. The concealed carry course is excellent! I have to admit I was very nervous going into this course. I have only handled/fired a weapon once prior, but I would absolutely recommend this to any newbie to firearms. There is a lot of information but the course is fun and they keep it interactive. I will definitely be taking more courses to improve my knowledge and skillset! The cost of this course is a steal for what you get out of it. These guys are awesome! It was a long day, but it stayed lively and extremely interesting through the entire course. 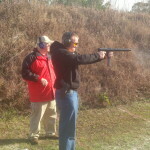 I learned a lot, broke some old bad habits and gained more respect for our NC laws and the NRA. Lexen and Erik are extremely knowledgeable and approachable instructors. I feel our entire class really benefited from being there. Don't miss this course or Dave's lasagna for lunch. This was a great course. I especially liked the range portion that taught me the proper range safety, stance, and overall handling of a pistol. Just completed my Concealed Carry Course today!!! An excellent and well-taught course. I thoroughly enjoyed every minute and learned a TON of stuff I had forgotten over the years. Thanks to Erik and Lexen for their instructions and the excellent time spent on the range. The lasagna was also very good and greatly appreciated. A long but very worthwhile day. Thanks, Team Lexen, Erik, and Dave. The Concealed Carry class lasted approximately 10 hours, from the classroom, to the in-house meal, to the shooting range, back to the classroom, The time went so fast. This highly motivated, knowledgeable team kept the class moving. Safety started the moment I pulled in the parking lot, I was impressed, and relieved. Our class was a perfect size. They answered all questions, and worked hard with each individual to excel everyone to the passing level. Cost of the class for that experience was a give away. Awesome class, Wouldn't change a thing. I was new at shooting a hand gun could not even hit the target nor even hit the paper. By taking this course and all the knowledge from this course I shot 40 for 40 on the target, thanks to the friendly and awsome staff. A lot of important information covered about handgun safety, laws and regulations. Entertaining instructors made it go fast for me. Great lunch! Range is hot and buggy, just like NC! The crew were always willing to help newbies improve thier shooting game groups and answer all questions. They care about you, and the group shown by the importance of safety. 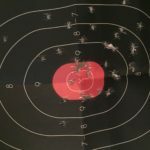 I was a little nervous as a beginner - though I had great tips from friends on my 3 prior trips to the range. Learned a lot in the classroom and on the range. I plan to continue "perfect practice" - especially on that trigger finger! 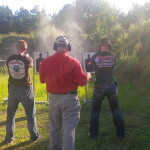 The instructors work diligently to help you achieve safe shooting. Highly recommend Home Front Freedom's classes to everyone! As a retired public safety officer I was very appreciative of the professional nature of the class. The training was thorough, the instructors kept the classroom interesting and the range activities safe. 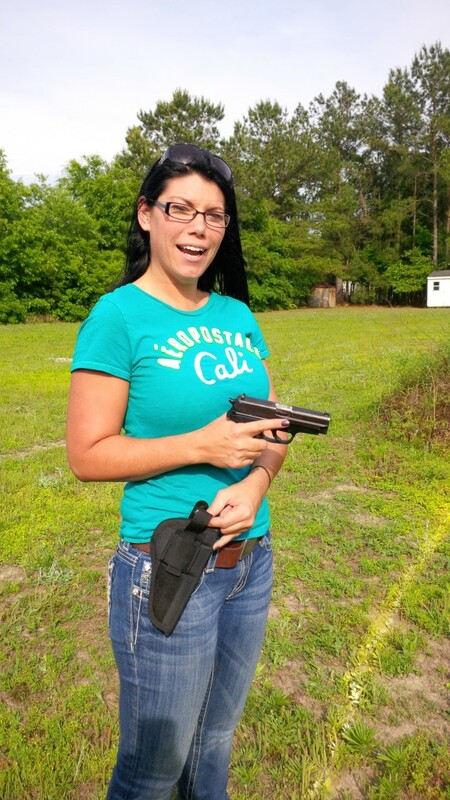 My wife had never fired a handgun and they made her feel confident and secure. She passed the firing range with ease because of the excellent instruction. I would recommend this course without reservation. Great class very well done and informative. Would highly recommend this class. Erik, Lexen, and David are great. The Professionalism, Knowledge, and Generosity in the class is from beginning to end. These are great people who love what they do and and it shows. Home Front Freedom taught everyone something, from newbies to the better shooters. The great personalities and laughter of Home Front Freedom kept this class a great, fun learning experience. Will be back soon! I am an old dog with a lot of training/experience behind me but no one knows everything and no one remembers everything the know all the time. This old dog learned new tricks from an improved grip through a more stable stance, a better way to obtain/maintain two eye sight picture, to better trigger control. After years of stuffing magazines, David even showed me a better way to load that difficult last round. All in all, one of the best days I have had in firearms training. This class was packed with information and instruction. The team was very professional and made everyone feel welcomed and comfortable. They made it a fun experience for all and provided a great lunch (with blessings included!) They taught with such enthusiasm and passion. Being a beginner, I was nervous at first, but they explained everything in such detail and with great demonstration, I felt comfortable when we got to the shooting range. Great class, great people!! Erik made the class interesting and,might I say, fun. I attend Home Front Freedom's first 2016 class for NC CCH and NRA pistol today. I am a USAF Veteran of 13 years and had to take yearly small arms training/qualification my entire career. Erik and his Team provided training beyond the scope and range of anything I learned in the military. The Team took time with each and every student to ENSURE they comprehended the tasks at hand. The knowledge and professionalism this Team provides is remarkable. I can't wait for my wife to attend their training and who knows I may just attend with her so I can refine my skills and eat that awesome lasagna!!! If you don't get your trying through Home Front Freedom you are doing yourself an injustice. I had a blast. I'm usually dead during any kind of training but this one kept me awake and interested the entire time. Not the usual death by PowerPoint that most of us are used to. The staff were friendly and engaging, answering all questions and presenting the information in an interesting way. They even served us lunch and blessed the food before hand. I will definitely return for another course and bring some friends along. Erik, Lexen, and David all have it figured out. Their knowledge of concealed carry, the NRA, and everything else you will learn from their classes is outstanding. My wife and I both very much enjoyed their concealed carry class and all she has been asking me since is "when can we go take more of their classes?" I feel much more comfortable with not only NC laws but federal laws as well as a result of their concealed carry class. 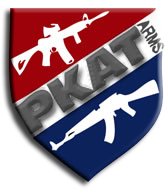 I recommend their class to anyone whether you're brand new to weapon handling or if you are experienced looking for a refresher course. The staff will be sure to take care of you! Great course not only for the price, but for the information you'll receive. They really mean it when they say they will treat you like family, the hospitality was incredible. I definitely look forward to taking some of the other courses they offer. Great training! Great company! Great day! I had previously taken the handgun safety course in Virginia in 1993 for concealed carry in that state and the NC conceal course in around 1999 when I relocated to NC. 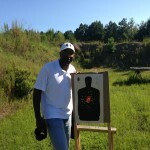 I attended this class with my wife who is a new shooter and was very pleased with the course. I learned some new techniques as well. Great lunch and great company. They recommended a local pizza place Crispino's which was gun friendly, we met there after class and had some great food and amazing peanut butter cheesecake. Thanks for a great day! Erik, Lexen and David are fantastic teachers who make everyone in the class feel comfortable and capable. Their skill engaged my husband, who has spent his life handling firearms, and their patience helped even me, a complete novice and chicken, learn the material and pass both the written and target tests. Couldn't recommend them more highly! Thanks, guys! The concealed carry class not only taught me all the details I need to own and use a handgun but also the things I need to know about the law and the situations I might find myself in. The presenters and information were easily understood and helped build self confidence that I learned all that was necessary to become a safe gun owner. Took the concealed carry class today I muat say it was such a learning experience. They were so friendly and eager to answer questions and to break things down until you understood them. I will recommend this to any of my friends and I look forward to taking more classes in the future. Thank you for everything today! I have taken the course for a CCW in Connecticut and the course for Utah permit. This was by far the best and most informative course. My daughter wants to get her permit. Even though she lives in Greensboro, I am going to recommend that she take the course from Erik and Lexen. You took my total fear of firearms and helped me to push through the fear and handle a firearm. What a great feeling. Information and understanding are such powerful tools and you showed me how to apply and understand. Thank you so very much. I have attended several firearm classes in the past , but this class by far was the most interesting. I got more information from this class then I have received in the past from other classes. Thank You for being out there for people that need educated on the laws and how important firearms and our second amendment rights. Being a beginner, I was very pleased with the class! I don't know what else you guys could do to be honest. Being a beginner, I was very pleased with the class! Due to my lack of handling handguns, I believe I got the most out of the time on the range, and learning the laws. I really wanted to get the most out of this class. I believe I got that. I want to say again, Thank you all very much! I personally learned a lot from the class! I think you guys do a fantastic job! Mrs. L made me feel very comfortable while on the range. While getting myself worked up, she helped bring me back down. Assured me, in what I needed to do. I am highly considering taking on another class in the near future! The training was great. Every part of the course for me was most beneficial. (then there was lunch) thank you... The last time I used a hand gun was in the late 70's early 80's while at 29 Palms for training. I will let everyone I know to contact you for training. Thank you for a great time. Coverage in North Carolina law and the ability to teach/cover in various ways to fit the need of any and everyone participating in the class was most beneficial. I have been in classes that herded people through, they taught the test conducted the range portion and moved on... This is a well formed course with an abundance of knowledge and energy to tag team the lesson plan. Really enjoyed the class and the fact that you brought God into it where you could. I was very nervous going into this class. However, the amazing hospitality and relaxed, comfortable nature of the class eased my nervousness. The instructor was knowledgeable and ready to answer any questions the class had. He added some humor as well which helped me ease my aniexty. The whole team was great in the shooting portion and instructions were very clear. They helped to clear any jams and solve malfunctions with any handguns we had during shooting. Erik was wonderful and his wife was very knowledgeable as well. Overall the hospitality and class were great! I would recommended them to anyone. I look forward to taking more classes with them as well! Great instructor with the background, knowledge, and enthusiasm to keep the class interesting. Our group was diverse and we were all made to feel at home and comfortable. The presentations and training aids were professional, but the most impressive part was the encouragement everyone received to succeed. I have seen instructors in this and other fields where the teacher's ego got in the way of the objective - this was NOT the case here. Everyone at Home Front Freedom helped us to achieve our goal. Thanks! I'll definitely recommend you to others. Before taking this course I was completely scared of guns and terrified of the sight (of them). While taking the safety lessons and going over the ins and outs of it all, I became a little less terrified. Erik and Lexen were completely helpful at keeping me calm and letting me know I would be fine. Out at the range, (FYI: I've never held a gun or shot a gun) I took all of the knowledge Erik gave me and all of the support Lexen was giving to me and learned how to shoot and I did quite well! I scored a 43 out of 47! I now know that in my home I am capable of protecting myself and defending my own. Oh and did I mention I'm now a (lifetime) NRA member? Thanks for everything Erik and Lexen. Home Front Freedom is the place to increase your confidence in all areas of gun responsibility!!! Thank you Erik, Lexen, and "DG"
I am fairly new to the world of guns but I feel that it is my responsibility to protect myself, family and property. Taking the concealed carry class from Erik proved to be the best decision I have made in a long time. I no longer have any fears of how to protect myself. I have confidence with my gun, ammunition and holster as well as the NC laws concerning gun responsibility. The entire team worked with me to ensure I was capable of success!!! Thank you again. Great people..great information..(to my shock) great time! When I signed up for the class I was excited to be getting my concealed carry certification but dreading how "boring" it would be sitting in a class for 8 hours to get it. I couldn't have been more wrong! The class was great, very informative, and even fun at times (I particularly enjoyed when Mrs. Heck gave a "free lesson" on how to get out of duct tape). The Hecks were so kind and welcoming I found myself thinking "I wonder if they are friends with all of their past students"..because I can honestly picture that being the case! My wife had already signed up when I first heard about Home Front Freedom. She had only two free Saturdays before she started her new job, so it had to get done or she would continue to depend on a self-defense plan that included a weapon that she had not been trained to use safely, effectively, or legally, and that she could not legally conceal away from home. I had been uncomfortable with this state of affairs for her, but learning about defending yourself is something that each person has to decide to do for themselves. I was glad my wife wanted to get the training and the license to carry concealed. So I bought her a new gun, and getting my schedule free at the last-minute, I went to the website and signed up for the class too. Just like my wife (but with a bit more experience), I had been thinking about getting a CC license for years but had never found the time. Erik, our NRA qualified instructor was very thorough in teaching the basics of how handguns work, handgun safety, shooting techniques, some emergency techniques, and the laws that apply to the armed citizen. When we went to the range later in the day, I was glad to see him closely supervising my wife as she was having trouble with her weapon. She had the opportunity to experience the same kind of problem that might happen in a real life situation, and learned how to fix the problem and get back to shooting. We both needed this training, and we both enjoyed our Saturday together with seven other students and the Home Front Freedom team, each one of whom we truly enjoyed meeting and getting to know a little bit. The classes were taught in these folks' home where we were made welcome and comfortable. The food served for lunch was really good (even by my wife's standards) -- a good fresh salad and tasty lasagna; there was fresh coffee, and there were soft drinks and snacks available the whole time. It really was quite pleasant. And these people are so kind and friendly that aside from having to pay attention and learn some things it was like visiting relatives. And of course, finishing up the day at the range where we got to practice the techniques we had learned in the classroom, with live ammo was the grand finale. It was great to see my wife confidently and safely handling her weapon - and putting all those rounds into a target even though the new gun jammed several times. And I learned again what a little pressure can do to affect my target acquisition. The folks at Carteret County Sheriff's Office are very helpful and getting our applications in was simple. We apparently have 60-90 days to wait on our licenses, but even if we did not get the licenses at all, I would still be glad we took the course and say it was well worth the time and money. I was absolutely terrified that I would not understand the class due to the fact that I have not handled guns much. To my surprise I was extremely interested and was filled with an excitement about future classes I intend to take. My confidence level has greatly improved from this experience and I can't wait to learn more. 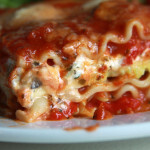 Besides the knowledge that was provided a wonderful lunch of salad and lasagna never hurts. Thanks to you all and can't wait for the next round. I took the concealed carry class yesterday and it rocked! I absolutely loved every part of the day. I can't pick a favorite section! The atmosphere was incredibly homey and relaxed, the lunch was delicious, the class was handled very professionally and the instructors were more than knowledgeable. We can't wait to take another class with you guys! This class makes me want to go out and buy a bigger American flag! I recently attended your concealed carry class. I have had extensive training with other schools. I am not a beginner by any means, but I still picked up a lot of valuable information. The information presented was easy to understand and very informative. I especially learned a lot about North Carolina firearms law for the concealed carry permit holder. Erik and his staff are great people. I highly recommend this class! I am new to firearms, safety, and proper handling techniques. 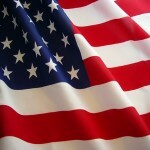 The Home Front Freedom website & staff are excellent & professional. I attended the CCH course and the class exceeded my expectations. The training & information presented was very informative. 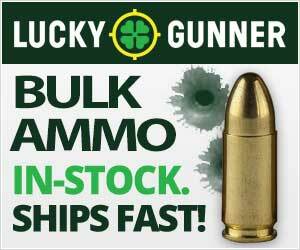 I recommend all new & old firearms people, to use this company's service and technical skills. Followed up with support of the NRA and your second amendment rights. I took the concealed carry class. The knowledge of the materials they display makes these guys more than highly qualified individuals. The experience you will get from them is phenomenal, I’m sure you won't find this style anywhere else. Every individual working there has decades of experience and knowledge that they are so eager and want to teach. The ambiance and wonderful family atmosphere they provide makes the class seem like a day with your best friends. You truly get beyond your money’s worth. Thank you guys again for an awesome day and for your time, I learned a great deal of knowledge that I was unaware I needed to know. This class was a great learning experience. Oh wait I must say that the instructors’ communication and presentation skills was superb. The instructor ratio both in class and at the range was adequate. There was no death by PowerPoint for the presentation was tailored to the course. (Which is good for being in the military that is a bummer). You can't forget about the fabulous lunch that was served, yes lunch is included. Recommend without reservation, hands down. Terrific class and top notch instructors!! On 3/22/2014 I had the pleasure of attending a carry and conceal all day class taught by Erik and Dan with help some friends and family. It was a jam packed day that was way fun and I and the rest of seven person class learned a ton. We were all impressed with the professional content and class conduct. I recommend this class to all skill levels and ages. Great job..
Educational, Fun and Friendship - Perfect Class, could not ask for more! 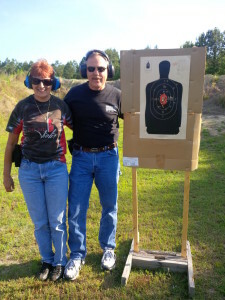 My wife Diane and I recently took and passed the concealed carry course - What a Great Day! I have attended many different training classes in my life, this was by far the best. Friendly folks, comfortable setting, good food, obvious knowledge of the subject with good methods and great willingness to educate. They definitely made my wife much more comfortable. I know customer service - these folks certainly do too. Don't look anywhere else because you will not find a better class. Thank you again to the entire staff!! I am completely new to the whole "owning and operating a gun" scene. I was taught the ins and outs and every law I needed to know to be successful, safe and responsible with my gun. The class was full of information that was taught with passion and excitement. The instructors were very thorough and really wanted us to be educated about carrying a handgun. I recommend this class to anyone, especially women like me who needed to know the laws and safety and responsibility of concealing a weapon. I was highly satisfied and completely impressed. Thank you Home Front Freedom for what you do, how you do it, and for opening your home for such a worthy cause as this! We appreciate you!!! Instructors were engaged and passionate about what they were teaching and I appreciated that! I feel that this class was a great learning experience. All of the instructors were very personable. All had very good communication and presentation skills. Current legal and case presentations were relevant. Great student to instructor ratio (both in class and at the range). PowerPoint presentation was tailored to the course. Handouts and texts were current as were videos. Ample breakouts for discussion as well as a lunch that was fabulous. 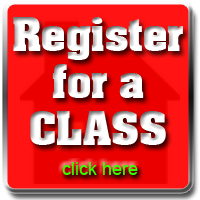 This is one of the most comprehensive courses in the area. Recommend without reservation. The Home Front Freedom team led by Erik do a complete and thorough job of training for both NRA Pistol and NC Concealed Carry! Combining safety as their number one focus with both theoretical and practical applications of pistol handling are invaluable. Their legal interpretations and explanations are outstanding! 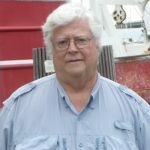 As a shooter and hunter for 50 years, an NRA Life Member, a past DU chairman and a former Harbormaster attached to the Warwick, RI PD, I learned a different perspective and more complete understanding of pistol shooting theory and technique. A very valuable course taught at an understandable level. Thank You! I've been through several firearms instruction classes over the years, and this session with Erik and the gang at Home Front Freedom was more than I expected. Far from being a "class", they treat you like family. The training was interactive, well paced, and very personal. From the experienced shooter to the novice, this is the place to go for your handgun training. Great place to learn how and when to shoot a pistol or revolver. Excellent instruction and really good people. Could not ask for a better day. I have some experience in the use of firearms; as a new resident of North Carolina from Ohio, I wanted to attend a class for a concealed carry permit. I was fortunate enough to find Erik's classes, and was delighted in what I experienced. I am keenly sensitive to the conscientious demands that carrying a firearm places upon an individual. Erik's class presented all the responsibilities, rights and risks involved in controlling the potentially lethal power that a firearm provides in one's possession. This class though comfortable and relaxed, is NOT frivolous. Erik uses many teaching tools and offers a great number of resources to his students. Erik is very patient and extremely helpful to all shooters new or experienced alike. Erik and his wife do everything they can to make your experience during the class as comfortable as possible. I highly recommend them for anyone who wants to take a concealed carry class, and best of all...THEY HAVE LASAGNA FOR LUNCH!!!!! Home Front Freedom's personnel are very kind and patient. They provide everything you need to know about carrying in NC. I'm from southern California and had no idea how the laws worked in NC. Erik made sure we knew the differences. When we went to the range after qualifying, me and the guys stayed back with Erik and his crew to run a couple of drills on the firing line. It was pretty fun. I recommend the class to all. I recommend this class to anyone who is considering carrying! I went to Erik seeking knowledge and was not disappointed when I left. His class was more than efficient in covering everything I needed to know about concealing a handgun. He urged myself and the rest of his students to ask questions, and covered several different scenario's to ensure that we were aware of all the do's and don'ts that are involved with carrying. His price was more than fair, and his wife's lasagna was spectacular! I recommend this class to anyone who is considering carrying! As a beginning shooter, I was very happy with how welcoming and reassuring Erik was. I had a great time in class and felt like I came away with a load of great information. Erik even helped several of us with our aim and trigger control at the range. Ms. Lexen also joined in to give a woman's perspective, which I thought was great! Not to mention a delicious home cooked meal and home-made sweet tea! I definitely recommend this class. Erik is very knowledgeable and the atmosphere couldn't be better. I was searching for an establishment to get certified for Concealed Carry. After extensive research, I determined that I would like to receive the training that Home Front Freedom offers. If anyone is looking for training in firearms, I HIGHLY recommend they look no further than Home Front Freedom. Erik is a professional who has the experience to reach all shooters from the novices to the experts…everyone will gain knowledge from the class. Erik is also current on all the Gun Laws and future Gun Laws being enacted. As stated by others who have taken this class, Erik and Lexen really makes you feel at home during the class. No need to worry about packing a lunch…snacks were provided throughout the class in addition to hot (homemade) lasagna for lunch. I can’t think of any other location where you can receive this type of training with snacks, lunch, range time, targets, and two certifications (NRA First Steps Pistol Orientation and Concealed Carry Handgun Training Course) all included for such a low price. After receiving the training, I’m a believer that everyone with a firearm should receive this type of training. The only regret I have is not bringing my wife along with me to receive training. I must give Home Front Freedom an A+ for what they offer! I had a wonderful experience, and would highly recommend him as an instructor of firearm safety and carry conceal certification. His attitude and knowledge were outstanding! He made the entire class comfortable, from a vet like myself, to someone who had never fired a weapon in their life. Absolutely, the sign of a great teacher! Thank you, Erik! Attended Erik's class on 7/20/13. Covered lots of good information and was pleasantly surprised by the friendly approach taken. Like being taught something by your best friend........easy to absorb things when you are relaxed..........great food and snacks ...hats off to Erik and his wife Lexen. Great instruction.........willing to make sure you were getting it right and good food and class room setting. Outstanding course. 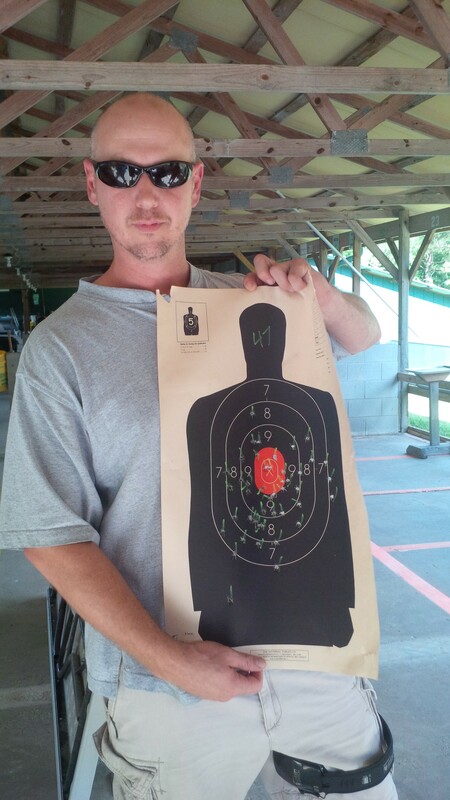 I took the concealed carry class on June 15. I was greeted as soon as I got out of my car. The family is very nice and they make you feel at home. Erik Heck is very knowledgeable about guns and the laws that apply to concealed carry. $65.00 is a great price to pay for this class and it is cheaper than most other places I have researched in North Carolina. The price even includes an awesome lunch, snacks, and drinks during the day. I would recommend this to anyone who is serious about earning their concealed carry permit. I took Erik Heck's class and found that this class is time well spent. Erik Heck can explain the information in a manner that anyone can understand. And put forth information to pass the class and raise ones level of information. Erik and his wife Lexen are wonderful hosts. They provide a clean, safe environment (your dealing with guns, with people of varying levels of experience and knowledge) and Lexen provided a wonderful, delicious lasagna lunch with trimming. I highly recommend Home front Freedom. I really enjoyed the classroom atmosphere, had snacks and lunch so come hungry! 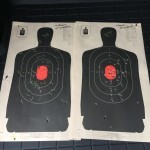 Shooting at the range was the best part because you could shoot the rest of the day, if you brought more rounds and for a nominal fee, the instructor would give additional training if asked. Overall it was a great experience and every question I had about the concealed carry process or shooting in general was answered, plus you get two certifications instead of just one. So what are you waiting for? Great, informative class all around! A++!!! I've been to many types of training classes and never have I felt so relaxed and welcome. 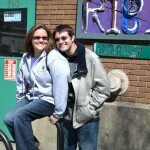 Erik and Lexen Heck are truly hospitable with comfort and safety in mind at all times. Erik's teaching method is spot on and he goes at the perfect rate for all experience levels. His safety at the range was constant and I felt at ease. While Erik is instructing, his wife, Lexen, is preparing the most delicious meal for lunch and they had a wide variety of snacks, coffee, and sodas available throughout the day. I won't forget the training I got there and am very grateful. Thank you. I plan on taking more classes with them once they are offered. P.s. We drove 3 hours to this class and it was well worth it!!! I cann ot speak highly enough of Erik Heck and the way he teaches. My wife of almost thirty years has never been comfortable with any type of guns in our house. She had a bad experience when she was a child and that has been imbedded in her memory ever since. Erik covered all hand gun safety rules, the right way to handle a hand gun; the different shooting positions and laws of conceal carry. Erik’s wife Lexen helped so much in making Cheri feel comfortable about guns, my wife has never shot a gun, not only was she able to shoot a pistol she qualified and passed the conceal carry course. Now she’s excited about shooting and looking for her own hand gun, something a little bigger than a .22 . Great Class I have and will continue to tell everyone I know about Home Front Freedom. Thanks You So Much! I was very pleased with Erik and Lexen Heck.....they were very professional and also made me feel relaxed since I had not ever shot before.....I passed my written and also my shooting test and qualified. I would recommend them to anyone wanting to take the Concealed Carry Class. They even cooked us lunch.... 🙂 Thank you guys so much for all you did for me. Best Training in Eastern NC! TWO CERTIFICATIONS in one class!!! All this was topped off with a finale at the range where we did the practical course, and received our two certifications! (bragging rights!) I have told everyone I know about Erik and how much I recommend Home Front Freedom!! I found it to be a good experience and Erik was an excellent instructor. I have already recommended his company to several others who are interested in his concealed weapons course. The crew at Home Front Freedom are up to date on all the laws and regulations that are required by NC and Federal. They are also very skilled on the shooting aspect of the course. I recommend that anybody go check them out. The course was fun, crucially detail oriented, thorough, informative, and very comfortable. It was well worth the 2 hour drive my friend and I made to take it. Are you a Home Front Freedom success story? Tell us about it!